Detoxification is important to our health. It pretty much takes a front row seat when it comes to cancer prevention, anti-aging, hormone metabolism, consuming processed foods, and so much more. In fact, if you have an autoimmune disease, supporting your detox pathways and reducing your toxic burden is a crucial step to healing. 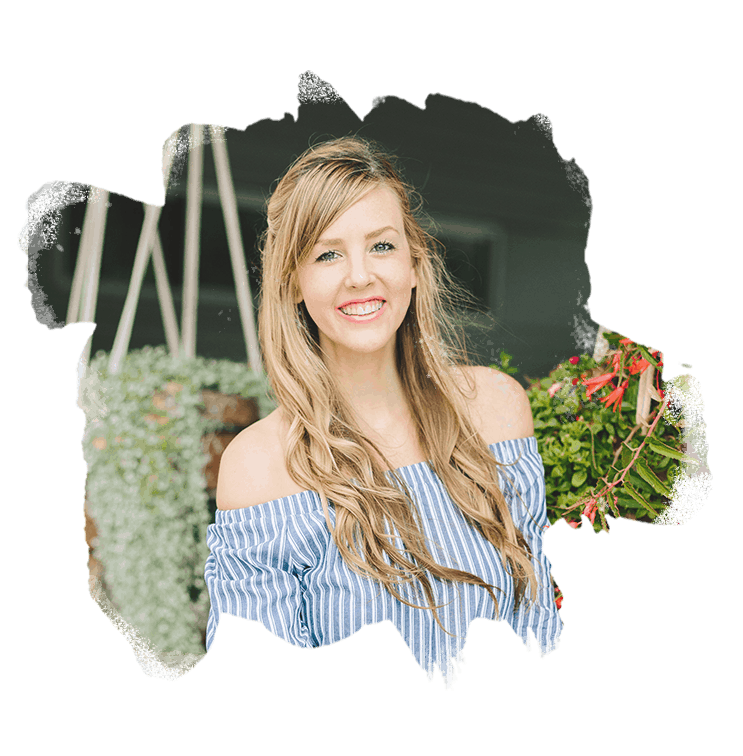 Supporting your detoxification pathways is complex, expensive, and time consuming, so we often throw it on the backburner for a time when we’re better equipped to focus on it. You’re not alone if you feel this way… but you also aren’t entirely accurate. 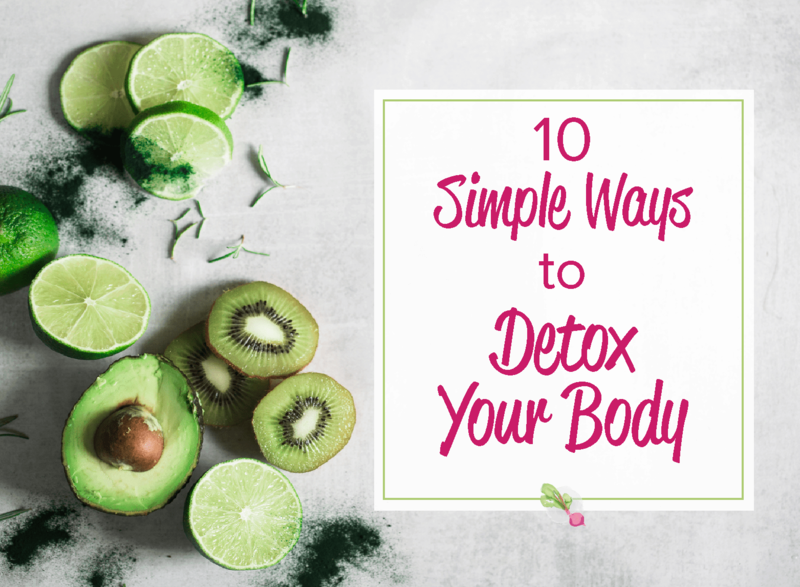 While the concept of updating your whole life from toxin-filled to toxic-free can be overwhelming, there are so many really simple ways to detox. The truth is, detoxing can be much simpler than you might think. In fact, the odds are good that you even do some of these detox techniques already. 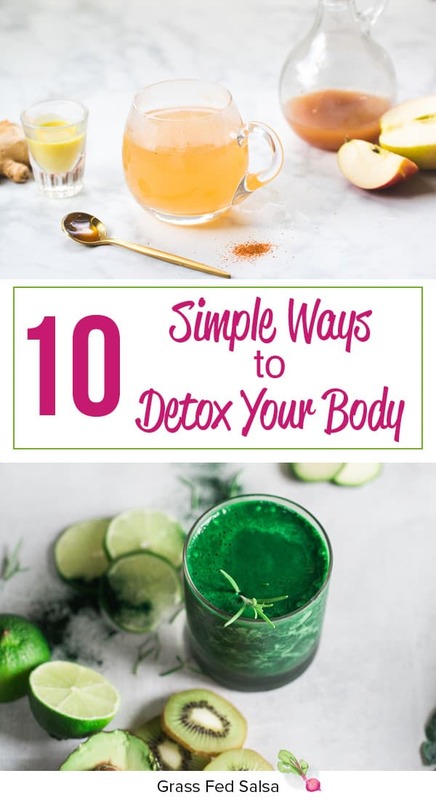 Taking care of yourself is a state of mind, and the list below is a great place to start if you’re looking for simple ways to detoxify your body. After your third time hitting the snooze button, odds are you bolt out of bed because you’re already ten minutes behind schedule. You might not think you have any time to spare, but I can guarantee that taking a single extra minute to center yourself will set you up for a better day. Inhale slowly through your nose and exhale through your mouth three times. It’ll give you a focused, calm energy by bringing oxygen to your brain and muscles. Three deep breaths, that’s it. You’ve heard this one before, and it’s one of the smallest investments for the biggest return. Single-use plastic bottles are made with BPA, a gross chemical that is a known endocrine disruptor, and has been shown to cause hormone dysfunction. Want an example of what that means? This study shows a strong connection to BPA exposure and sexual dysfunction in males. And even if the bottle is BPA free, that doesn’t mean it’s chemical free. Do yourself a favor and ditch all the plastic water bottles. If you like a beautiful feminine glass number, you got it. Looking instead to never fill your water bottle again, and keep its contents permanently ice cold? You can get that to. for more budget-friendly options, check out your local Marshall’s, Home Goods, TJ Maxx, and other discount stores. I can’t overstate the benefits of going on a daily walk. It gets your blood moving, your lymph fluid circulating (pssst… your lymphatic system and fluid helps to get rid of the toxins I keep talking about!) and clears your head. If you’re feeling ambitious, you can set a distance goal. But if that’s too much, just walk around your block once before you leave in the morning, again when you get home, and once more on your lunch break. Or instead of circling the block around your office parking lot multiple times to find the closest parking spot, just park a little farther away! We spend a lot of time sitting – at our offices, in our cars, when we study. Not only does inactivity cause the aforementioned lymph to become stagnant, but our muscles and joints become stiff. Start small here and add one 10-minute stretch session wherever you can fit it in. You can do any type of movement or stretch that feels good, but if you need ideas I’ve found a few YouTube tutorials for you here and here. Not only does this help you detox your life, it also helps you detox the planet. No need to use extra plastic. Just keep some tote bags in your car, or get one of these neat foldable grocery bags to stash in your purse. Bonus: It feels good to tell the cashier “no thanks, I don’t need a bag”. The antioxidants, vitamins and minerals in produce is highly beneficial in the detoxification of your body. However, that doesn’t mean it’s easy to get into the habit of adding fresh veggies to your meals, sot I have a couple tricks that will seriously simplify this detox trick for you. Re-heating some leftovers? Freshen them up by adding some thawed frozen green beans, a handful or two of greens, or some shredded cabbage. Buy a few bunches of your favorite fresh herbs and use it to garnish and brighten up any and all of your meals. In fact, I even LOVE blending fresh basil and cilantro into my morning bone broth. Cook a large batch of a few veggie based sauces on the first weekend of the month, and freeze to use over the next few weeks! Each week you can batch cook your protein, and throw it on your favorite raw veggie, and top it all with one of your thawed and heated sauces. One of my favorite ways to connect with my husband without stressing ourselves out by finding a babysitter, is to just cook dinner together. Working as a team and getting to enjoy the finished product together is incredibly fulfilling. Do this with your kids, your mom, your best friend, or your favorite neighbor. I guarantee you’ll feel full of more than just yummy food at the end. One of the most underrated ways to detox is by using fresh herbs. Who doesn’t love some fresh basil in their nomato sauce? Or some fresh cilantro sprinkled on a stir fry? Fresh green herbs like parsley, mint, and thyme (to name a few) are nutrient powerhouses that help us replenish essential vitamins and minerals so we can keep toxins moving through and out of our bodies. This sounds silly, but I mean it. Whether it’s means sitting in your front yard, or hiking in a park, don’t underestimate the power of plants. Plants give off oxygen, which we need to power every single process in our bodies. If you’re feeling drained or stressed, plants can remind you that you can heal and grow, no matter how many challenges you face. Because everyone needs to hear it sometimes. Stopping to appreciate someone for what they do will not only make them feel good, but fill you with gratitude too. I like your article. Great tips! About tip #2 (the one about the plastic bottles) – I’m now using a plastic drinking bottle that is BPA free but after reading your article I’m thinking about buying another bottle. About tip #5 – I try to avoid plastic bags as much as possible.